Jneiro Jarel is an American recording artist and music producer, residing in the Southern United States. For over a decade he has provided listeners with an, unbelievably, eclectic mix of sounds ranging from hip hop, to electronica, to Brazilian funk, to bass music. Highlights include works with Atlanta based group Goodie Mob's, Khujo Goodie (as Willie Isz), MF DOOM (as JJ DOOM), Gorillaz frontman Damon Albarn, Beth Gibbons (Portishead), TV on the Radio, and many more. ﻿Since 2004 he has released a total of 12 albums, on labels, Lex Records, Kindred Spirits and his own label, Label Who. ﻿Some of his earlier, note worthy, associations include legendary Public Enemy/Bomb Squad producer, Hank Shocklee, and Philadelphia based artists, Rich Medina and King Britt. 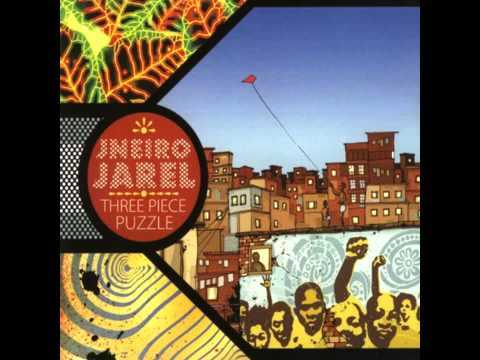 After having several critically acclaimed releases between 2004 and 2010, Jneiro was invited, along with 11 other producers, to accompany Damon Albarn in the Congo, to produce an album under the collective name DRC Music. This project was a charitable work, in conjunction with the international organization OXFAM, bringing attention to the war and poverty in the region. Jneiro Jarel's more experimental music has been cited as having been a major influence on a relatively new genre that has so many complexities it's difficult to define; a progressive, futuristic sound that fuses hip hop with electronica, and has gained traction and popularity in recent years on the Low End Theory/Brainfeeder scene. Often being described as "psychedelic" and "experimental", Jarel simply calls it a "Viberian Experience", where various musical styles and influences have effectively coalesced to become something all it's own. Meticulously integrating visual art and music, Jneiro Jarel has created what many see as conceptual music. This artistic approach has garnered him respect and adoration among fans and peers alike, and has served as a conduit for notable creative ventures with independent label Lex Records. alongside the sounds of musical space cadets such as Sun Ra and Kool Keith."